John Replogle (rep-luh-gul) joined Seventh Generation in March of 2011. He is the former President & CEO of Burt’s Bees, the leading Earth-friendly, natural personal care products company. Prior to Burt’s Bees, John spent three years at Unilever, where he managed the skin care division and helped to launch the Real Beauty campaign for Dove and establish the Dove Self-Esteem Fund. John’s commitment to conscious consumerism and the triple bottom line factored heavily into his decision to join the Seventh Generation team. An avid outdoorsman, John will be right at home among the lakes, hills, and hiking trails of the Green Mountain State. In fact, his new role at Seventh Generation marks a return to his New England roots where he was raised and educated—first at Dartmouth College, where he earned a B.A. in History, and later, as an MBA student and graduate of Harvard Business School. A father of four, John and his wife Kristin count Seventh Generation liquid laundry detergent among their favorite products. John Replogle joined Burt's Bees in 2006 to oversee all activities and set the tone and direction for the company. He came from Unilever, where he ran the skin care division and helped to launch the Real Beauty campaign for Dove and establish the Dove Self-Esteem Fund for young girls. John's love for our products and his family both played a role in his decision to come on board. He has four daughters and says "Raising their awareness to environmental and natural product consciousness provides a very tangible benefit in my life. I just feel like this is a place where I can be my best, do great work and do some good in the process." John earned a B.A. in History from Dartmouth College and an M.B.A. from Harvard Business School. His upbringing in New England gave him a great appreciation for the ocean and mountains and helped him to become an avid outdoorsman. Put him on a bike, in a canoe or on a hiking trail and he couldn't be happier. 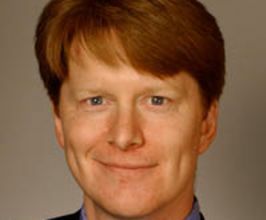 John Replogle was named Chief Executive Officer and President of Burt's Bees on January 19, 2006. The appointment is effective January 19, 2006. Replogle previously spent three years at Unilever as General Manager, Skin Care, North America. He also served on the company's Operating Executive Committee and Global Category Board. His leadership was marked by successful efforts to improve the division's innovation, recraft their marketing and build a strong leadership team. Prior to that, he spent eight years with Diageo, most recently as President of Guinness Bass Import Company and Managing Director of Guinness Great Britain. Earlier, he held several other roles in Marketing, Sales and Strategy with Diageo. Replogle began his career as a consultant with the Boston Consulting Group. Replogle earned an MBA from Harvard, graduating with distinction. He earned his BA from Dartmouth College, where he served as President of his class, while gaining several awards and distinctions, such as the Hansard Scholarship and the Dean's Prize. Replogle is married with four daughters and is an active volunteer with the humanitarian aid organization, Americares. All American Speakers is a speakers bureau and booking agency providing information on booking John Replogle for speaking engagements, personal appearances and corporate events. Contact an All American Speakers Bureau booking agent for more information on John Replogle speaking fees, availability, speech topics and cost to hire for your next event. Please Note: All American Speakers Bureau acts only as an entertainment broker/producer for corporate functions, private engagements and special events. All American Speakers Bureau does not claim or represent itself as the exclusive agent or management of John Replogle or any artist on this website. Speaker fees are determined based on a number of factors and may change without notice. Fees often vary based on a number of factors including: speakers schedule, supply and demand, length of presentation, location of event and other factors. Fee Ranges listed on this website are intended to serve only as a guideline. In some cases, the actual price quote may be above or below the stated range.